The Electacourse PAT Testing Online course enables you to understand electrical hazards and the role of PAT Testing. Bulk purchase enquiry? Click here. Portable Appliance Testing is a valuable skill for electricians and others involved in ensuring electrical equipment is maintained in a safe condition. If you are already a qualified electrician you can earn extra income as a competent PAT Tester. 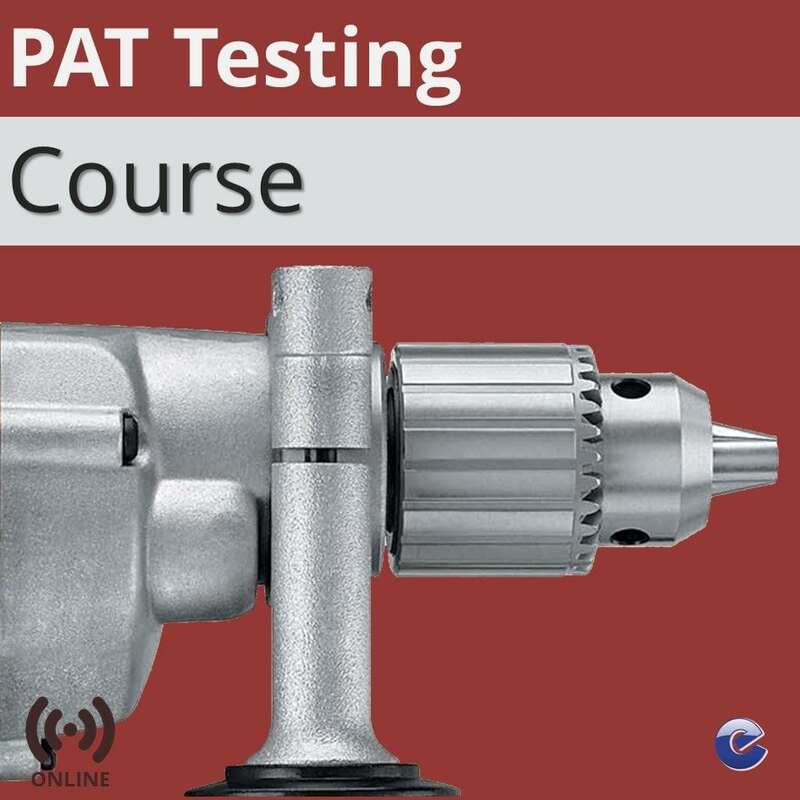 If you are not an electrician, then the Electacourse Online PAT Testing Course gives you an understanding of the requirements for PAT Testing. The Electacourse Online PAT Testing Course follows the recommendations of the IEE Code of Practice. A person undertaking PAT testing must comply with this and have an understanding of the modes of electrical, mechanical or thermal damage to electrical equipment and appliances and their flexes which may be encountered in a work environment. The course includes training to understand the identification of equipment and appliance types and to determine the test procedures and frequency of inspection and testing. Included is an introduction to the test instruments used and critically, understanding how to manage and assess risk associated with electrical equipment and appliances. At the end of the course you can practice your understanding with hundreds of questions from our database and take an online certificate test. On succesfully passing the certificate test, you will be issued with an Electacourse Certificate of Achievement. Note – this course is not accredited by City & Guilds. It is not a requirement for a PAT Tester to be City & Guilds qualified, it is required that you can demonstrate competency in PAT testing. Anyone thinking of starting out as a PAT Tester. Anyone responsible for facilities management in a business and needs an overview of PAT Testing. Anyone involved in the sale of second-hand electrical equipment. We estimate the course will take you about 8 hours of study. Course to be completed in 6 months.